Learn how to make a bacon rose! 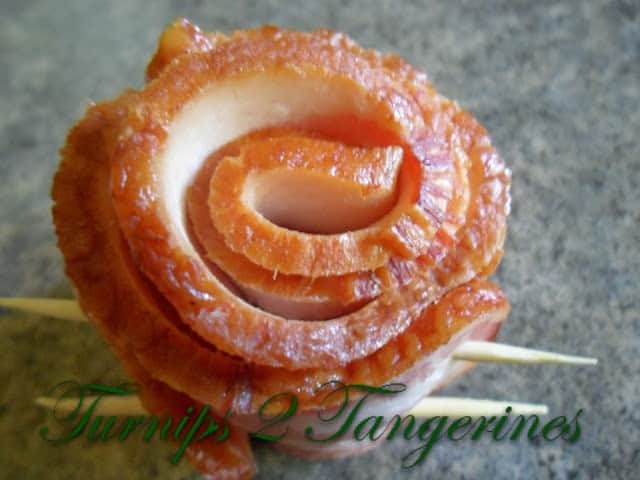 Making a bacon rose is a great way to add a delicious and cool looking garnish to everything from baked beans to stews and soups. 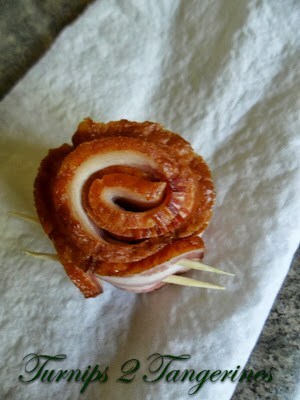 Making a Bacon Rose is fast, easy and fun. Your kids will have so much fun helping you make these. 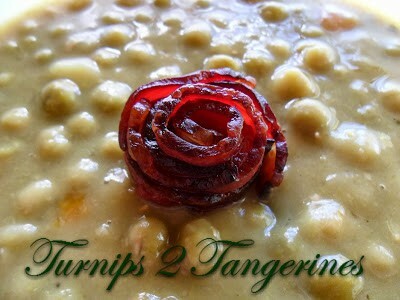 They add a nice whimsical touch to soups, salads and well, just about anything. After all, it is bacon. If you really want to be naughty, dip the bacon rose in melted chocolate….ooh la la. Recipe follows. Melt chocolate in a double boiler until chocolate is melted. Stir until smooth. Dip half of the bacon rose into the melted chocolate, place on a wire rack. When chocolate is harden, bacon rose is ready to eat. I LOVE your idea of dipping the rose in chocolate! A great tutorial here. 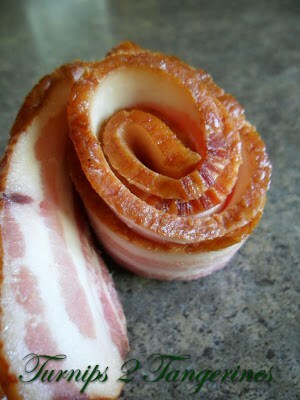 I made a bouquet of bacon roses for our anniversary this year and we're still talking about them. 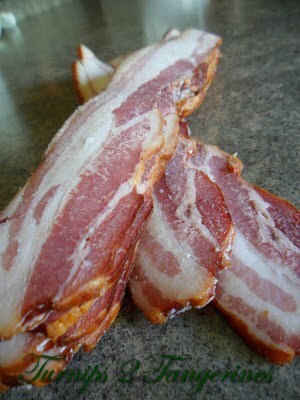 I found using 2 slices of the thick bacon worked best too. I think it's such a great project for kids too. Love the ease of just doing them in the microwave. I baked mine partially, but this would be a lot quicker. Thanks so much for sharing at Weekend Potluck. Please come back soon. We love having you over. So cool, Lynn! Looks great sitting on top of the soup. And you really can't beat bacon as a garnish. Thanks or linking up! What a great idea for a garnish! Thank you so much for sharing with Full Plate Thursday and hope your weekend was great! I've seen these in restaurants. Cool trick… so lovely. Thanks for sharing it with us on foodie friday. Cute. I love all things bacon and this is a great decoration. Found this on Saturday Spotlight. Hi Joy~ Thanks for stopping and Enjoy! 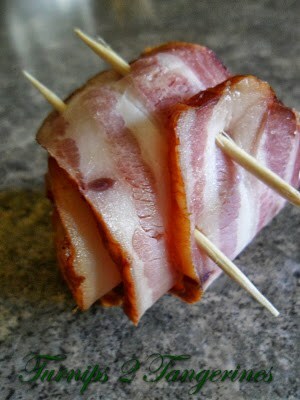 A bacon rose — pretty and yummy! I'm definitely trying this with the kids. Thanks for the tutorial! Thanks for stopping and have fun! 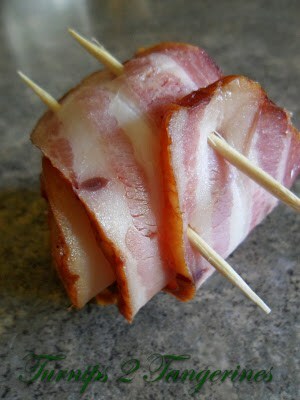 Hi Lynn, your bacon rose look so cute and very creative idea. 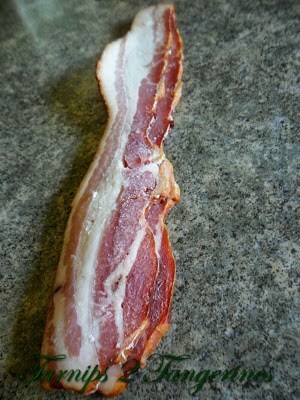 I love bacon but don't eat often cos slice bacon is expensive in Malaysia. How cute is this?! Everything is better with bacon, so I can think of lots of applications for this clever idea… 🙂 Thanks so much for sharing it! I LOVE Bacon! Neat idea! Stopping by from Sweet and Savory Saturdays. wow 😀 very creative, I would never think of making such a rose out of bacon!